Staff | Lower Hudson Partnership for Regional Invasive Species Management. 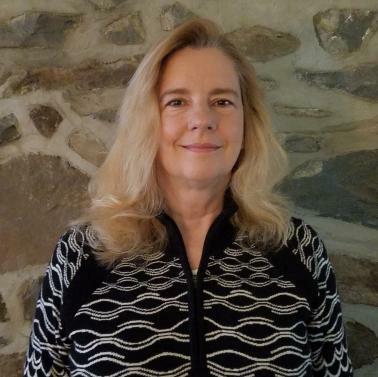 In 2013, Linda received her PhD in Ecology from Rutgers University, where she studied the effects of deer on forest understories. While attending graduate school she worked as a park ranger in Monmouth County, NJ and taught beginning biology labs at Rutgers. Before returning to school, she worked for many years at AT&T as a project manager and software developer. Linda built the Trail Conference’s InvasivesStrike Force volunteer program. By 2016, the program had trained about 400 invasives-mapping volunteers who collectively had surveyed more than 1,200 miles of trail for invasive plants. She has organized invasives-removal workdays in parks across southern New York and northern New Jersey. Linda also has spent more than 10 years creating a native plant wildlife habitat in her backyard. Brent Boscarino joined the Trail Conference in 2019 as our Invasive Species Citizen Science Program coordinator. 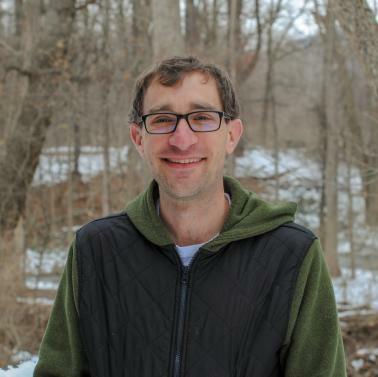 He spent the past 10 years as a high school science teacher and environmental outreach coordinator at the Poughkeepsie Day School in Poughkeepsie, N.Y., and previously at the Harvey School in Katonah, N.Y. In his other role as Senior Research Associate at Poughkeepsie Day, Brent ran multiple invasive species-based research projects in collaboration with Hobart and William Smith, Ithaca, and Bard colleges. Brent received his undergraduate degree from Middlebury College in 2001 and his Ph.D. in Natural Resources from Cornell University in 2009. He is a nature enthusiast to the core who strives to foster an authentic “sense of wonder” about the natural world. Brent is an avid runner and former soccer coach who enjoys hiking, fishing, swimming and other forms of outdoor recreation with his wife Jessica and sons Wynn and Ryder. Lindsay is originally from a small town in Southeast Texas, and moved to the northeast to pursue acting before making a drastic career change. She's currently majoring in Fisheries and Wildlife Sciences with a focus in aquatic ecosystem management and fisheries biology through Oregon State University's distance learning program. She initially came across the Lower Hudson PRISM in 2016 as a volunteer invasive plant surveyor for the New York-New Jersey Trail Conference's terrestrial Invasives Strike Force which helped her gain experience in the field. A year later, she approached Dr. Linda Rohleder for an internship and was offered a job as the Program Assistant for the PRISM. In her time with the PRISM, Lindsay found a greater interest in aquatic invasive species and began working with Samantha Epstein at Clearwater to learn more about the AIS program. She began working as the Assistant Invasive Species Program Manager alongside Samantha Epstein in January and recently spent the summer as the Lead Watercraft Inspection Steward before transitioning into the Aquatice Coordinator position. Lindsay also enjoys watercolor painting, watching nature documentaries, backyard birding, and obsessively reading scientific journals.